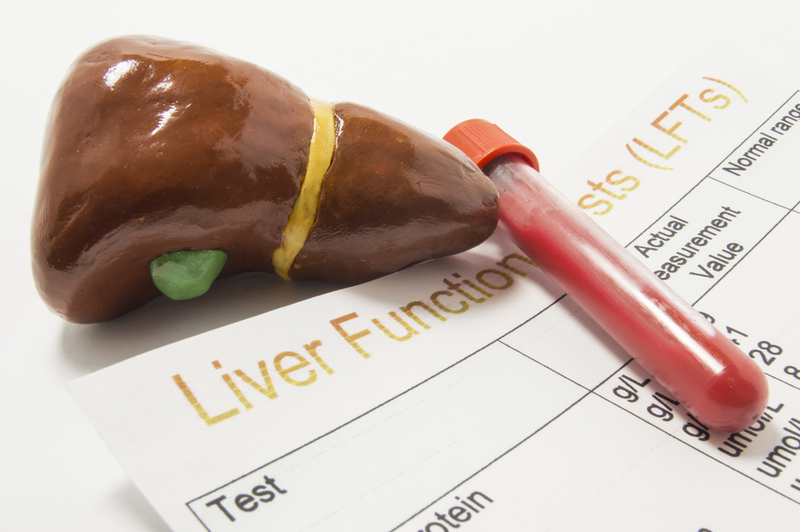 The American College of Gastroenterology (ACG) recently released a new clinical guideline for the diagnosis and management of Alcoholic Liver Disease (ALD). With India set to become the liver disease capital of the world, these new recommendations should help clinicians treating patients with ALD. ALD encompasses a wide spectrum of diseases starting with asymptomatic or early ALD (fatty liver or alcoholic steatosis), to alcoholic steatohepatitis (ASH) and final progression to advanced ALD, (alcoholic hepatitis (AH), cirrhosis and its complications such as ascites, portal hypertension-related bleeding, hepatic encephalopathy, and HCC). Consumption of >3 drinks per day in males and >2 drinks per day in females for >5 years is defined as heavy alcohol use, and this is seen in 1 out of every 12 adults as the cause of ALD. Long-term heavy drinkers of alcohol are also at risk for other advanced liver diseases such as alcoholic steatohepatitis (ASH), and hepatocellular carcinoma (HCC) due to other susceptibility factors. Alcohol abuse is a risk factor in about 50% of cases of cirrhosis. Based on an analysis, alcohol hepatitis (AH) was found in approximately 29% of hospitalised patients with ALD in India. Patients with hepatitis C virus (HCV) infection also frequently experience accelerated hepatic fibrosis when alcohol is a co-factor. In contrast to non-alcoholic fatty liver disease patients, those with ALD mostly present for medical care very late due to jaundice or from cirrhosis complications. No specific laboratory tests exist that diagnose liver disease connected to alcohol use. Patients with alcohol abuse and dependence can be identified with the alcohol use disorders inventory test (AUDIT) validated tool. Non-invasive tools such as transient elastography in early ALD patients presenting with fatty liver or minor derangements in transaminases still need more data to be considered. The mean corpuscular volume, aminotransferases, and γ-glutamyl transferase are sensitive biochemical tests, but lack specificity in cirrhosis patients. About 75–90% sensitivity is seen with carbohydrate-deficient transferrin combined with γ-glutamyl transferase. If alcohol usage history is uncertain, or the clinical diagnosis is confusing with another liver disease etiology, a transjugular liver biopsy is recommended in patients with suspected AH. ALD patients need managing of two different disorders, namely alcohol-use disorder (AUD) and liver disease. Prolonged alcohol abstinence is the most effective therapy to date that can alter the clinical course of ALD and even reverse liver damage. In-hospital management after being admitted is preferred in severe AH patients. Behavioral interventions such as motivational enhancement therapy, cognitive behavioral therapy, motivational interviewing, supportive therapy, and psychoeducation are some major approaches to induce or to maintain alcohol abstinence in ALD patients. Patients educate themselves about how their thought processes contribute to their behavior during structured goal-directed cognitive behavior therapy. Brief motivational interventions are better than no intervention for reducing alcohol relapses. Disulfiram, acamprosate, gabapentin, naltrexone, topiramate, sertraline, and baclofen have been used for AUD. Among these, only baclofen is safe in patients with ALD and cirrhosis. Baclofen 5 mg three times a day is the usual starting dose which can be raised to a maximum of 15 mg three times a day after every 3–5 days intervals based on patient tolerance. Increase in abstinence rates cause the efficacy of baclofen to improve. Even in advanced liver disease and AH patients, baclofen has a very good safety profile and can be monitored by hepatologists or addiction specialists. Baclofen may also be effective in preventing alcohol relapse. Benzodiazepines are the treatment of choice in patients with severe AWS and ALD. Diazepam and chlordiazepoxide are long-acting benzodiazepines that protect against seizures and delirium. Lorazepam and oxazepam are short and intermediate-acting benzodiazepines that are safer for patients with poor liver function. Baclofen, clonidine, gabapentin, and topiramate may treat AWS in patients with ALD including alcoholic cirrhosis. Decompensated cirrhotic patients are managed as per the problems faced. Symptomatic relief of tense ascites is done via a therapeutic paracentesis. Antibiotics, along with albumin 1.5 g/kg on day 1 and 1 g/kg on day 3 is given if there is spontaneous bacterial peritonitis. Lactulose and rifaximin therapy, as well as control of infection is sought in hepatic encephalopathy patients as per current guidelines. In some patients imaging of the head and CSF studies may help. A drug screen is also suggested. Acute variceal bleeding episodes can be managed with terlipressin or octreotide (vasoactive agents), antibiotics, and endoscopic therapy. After starting vasoactive therapy, wait for at least 30 minutes before endoscopy. Corticosteroids and nutritional supplementation are therapies that have proven efficacy and should be offered to affected patients. Pentoxifylline, n-acetyl cysteine and granulocyte colony-stimulating factor have potential efficacy and can also be used. Therapies with no efficacy include tumor necrosis factor-α inhibitors, antioxidant cocktail and vitamin E, the hepatic mitogens: insulin and glucagon, anabolic steroids and propylthiouracil. LT can be offered to patients with end-stage ALD. A minimum alcohol abstinence of 6 months and other factors should be taken into consideration before offering LT. Alcohol, tobacco and cannabis should be screened for when following up potential transplant recipients. To prevent graft rejection, the lowest possible dose of immunosuppression is used. Sirolimus or everolimus are preferred over other immunosuppression drugs.